As the icy blast of the historic “bomb cyclone” chilled the heart of Boston and flooded her streets, an even more chilling battle was taking place over the life of 69 year old Beverley Finnegan. The fight to get court-appointed guardians and attorneys to allow her to receive life-saving medical treatment has ended with her death just before noon on Friday, January 5, 2018. Her tragic death follows the one day that her sister and advocate Janet Pidge were not able to be by her side at Framington Union Hospital. The brutal snowstorm kept Janet, as well as many other residents in the greater Boston area, home and off the streets on Thursday. Beverley’s condition was largely unchanged during the last several weeks, so the Friday morning phone call came as a shock. 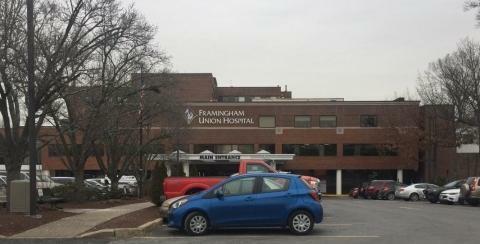 Gary Zalkin, attorney for Framington Union Hospital, left a voicemail at 8:30 a.m. saying that that she had taken “a turn for the worse” and would likely pass within the next hour or so. Janet was already en route to the hospital to be by her sister’s side. Advocate and journalist David Arnold told Health Impact News that he joined Janet in Beverley’s hospital room. He reports that her heart stopped several times, while doctors kept saying that her brain had shut down. Finally, her heart stopped beating for the last time, and she was pronounced dead at 11:48 a.m. This is worse than the Twilight Zone. For months, Beverley Finnegan and her sister Janet Pidge have been battling the state of Massachusetts to bring her home. The sisters owned a condo together, and they relied on each other. 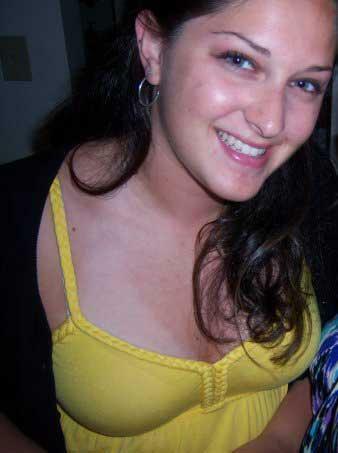 Several years ago Ms. Finnegan named her sister as her proxy if ever she needed someone to make decisions for her. Her wishes were completely ignored. A doctor diagnosed her with an illness that, in hindsight, she may never have had. Dr. Anne McKinley said that she had a lung infection called Mycobacterium kansasii and that she would die without treatment. When Ms. Finnegan chose not to go back to that particular doctor, Dr. McKinley filed a protective order with the courts. Police and social workers broke into the condo and seized her. Because she fought against her kidnappers, she was deemed mentally ill and violent. She was bodily seized and forced against her will into a nursing home and forced onto psychotropic drugs. 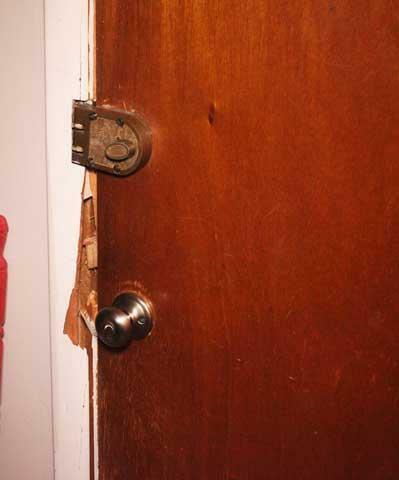 The door frame was broken during Beverley Finnegan’s state-sanctioned abduction, yet she was labeled “paranoid.” Photo source: Boston Broadside. For months, she begged and pleaded to go home, saying that they were going to kill her. The presumably imaginary infection that was used as a pretense to deprive her of her liberty was never addressed – not once. Lawyers petitioned for, and won, the ability to override Ms. Finnegan’s wishes, and a judge appointed a guardian with Jewish Family and Children’s Services. Under a draconian legal construct known as “guardianship,” Marissa Levenson was granted the authority to make life-altering decisions for a woman she had never before met. Marissa Levenson, guardian with Jewish Family and Children’s Services, was given authority to place Ms. Finnegan into a nursing home against her will. Photo source: Boston Broadside>. Beverly’s sister, Janet, is hysterically desperate: she’s fighting daily to get anyone to help. Janet can’t stop talking about her sister, non-stop. She’s anxious, desperate, and determined to get someone to listen. She’s spent her savings, she’s knocked on seemingly every door of every lawyer or politician she could find. She’s been lied to along the way in the same way her sister was lied to. She is called delusional and paranoid for not believing the state. She can’t stop. She fights on. She’s determined and gets into rants about the shock of the taking of her sister, long-term problems at her condo with certain neighbors, and the tragic history of her family (for which a movie should be set). Her money is gone and she’s stuck asking for rides daily or help to pay for the trains to take her from Newton to Framingham each day where she prays at her sister’s side. Lisa Belanger says that the decline in Ms. Finnegan’s health was directly related to fact that the state placed her under guardianship. Under that guardianship, she was forced into a nursing home that did not properly care for her. Due to their alleged neglect and possibly actively harmful practices, Ms. Finnegan wound up in a coma on November 30, and doctors have neglected basic medical care that could have saved her life. On December 18 and again on December 22, Belanger went head to head in court with a gaggle of attorneys and guardians who were determined to pull the plug and end Beverley Finnegan’s life, against the adamant wishes of her sister. On one side were the guardian and attorneys for Framington Union Hospital, Jewish Family and Children’s Services, and Springwell – a non-profit organization utilized by the state of Massachusetts to implement Adult Protective Services policies. They all argued that it would be more compassionate to pull the plug than allow her to live life under the current circumstances. Dr. Byrne laid out specific medical protocols that should have been taken already but hadn’t. He said that if they would initiate such treatment immediately, Beverley’s health should improve. Since that time, Lisa Belanger engaged in a life and death struggle to get the hospital to do the basic medical treatments that could have saved Ms. Finnegan’s life. She sent numerous requests to the newly appointed Guardian ad Litem Joanne Moses and to the various attorneys involved, including the hospital’s attorney Gary Zalkin. Her every attempt was rebuffed. Counsel for Framington Union Hospital, Gary Zalkin. Photo source. Even though Beverley’s sister and her attorney were clear that they wanted such measures being taken, Zalkin reportedly said that they would have to wait until the new Guardian ad Litem approved of the tracheostomy and they were all able to go before the judge again for approval. EVERY SECOND THAT GOES BY YOU AND YOUR CLIENT ARE OVERTLY DEPRIVING MY CLIENT’S SISTER OF WHATEVER RECOVERY IS POSSIBLE. To confirm, Judge Monks expressly stated that Metro West HAS AUTHORITY to perform emergency necessitated procedures–that such procedures do not require a court order. Again, the emergency procedures are laid out by Dr. Byrne in his provided affidavits that you have received. As already substantiated from the documentation I provided you, you and your client’s FAILURE TO ACT continues to be knowingly and deliberately causing overt harm to my client’s sister, Beverley Finnegan. None of the life-saving procedures were initiated. On the day that Beverley’s sister could not be with her at the hospital due to the massive snowstorm, her health suddenly declined. By the time Janet Pidge and Lisa Belanger got word of her demise, all of the government offices to which they could have turned were closed due to the storm. They were completely helpless to stop what they see as Ms. Finnegan’s needless death. Because of the guardianship, Beverley’s trusted loved one was powerless to intervene to save her life. This woman who was functional, in full control of her mind, and able to walk and care for herself on her own just a few months ago is gone – another victim of guardianship. Guardianship is a form of slavery, but it is actually far worse than slavery. It needs to be abolished. With guardianship, they want to rob them and kill them. Even though the sisters lived in a large metropolitan area, the small group of players involved in their case have worked together in a number of similar guardianship cases, according to public records. Jewish Family and Child Services seems to be a major player in the region. They played a significant role in the decisions leading to the rapid decline of Beverley Finnegan’s health. Attorneys Gary Zalkin, Lawrence K. Glick, and Wendy K. Crenshaw each appear on the dockets of many guardianship cases in various roles – alternately as counsel for the ward, counsel for the petitioner for guardianship, the petitioner, or guardian. There are cases where the same attorney’s name shows up in the record in more than one role. In a case from 2016, Case #BR16P0649GD, Gary Zalkin is listed as the attorney for the ward, the petitioner on behalf of the facility wanting to place the ward under guardianship, and as the guardian himself. That is three conflicting roles – all represented by the same attorney. 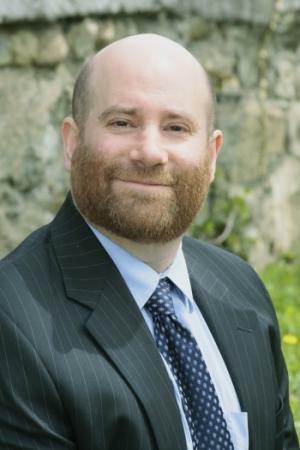 Attorney Gary Zalkin wrote the chapter in the Mental Health volume of the Massachusetts Practice Series that explains the new guardianship and conservatorship laws. He has additionally pioneered the affirmation of health care proxies for mental health issues in Massachusetts. 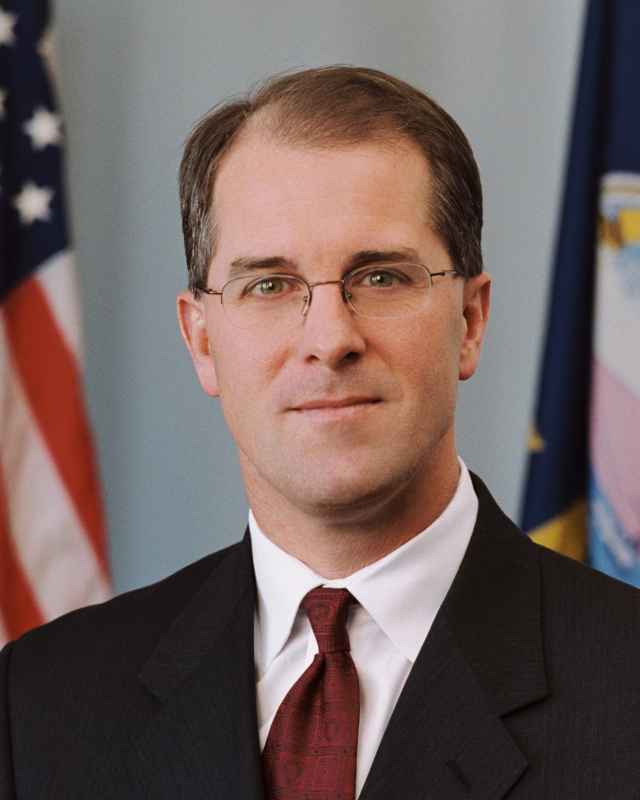 He has served as chair of the Riverside Community Care Human Rights Committee and as president of the Board of the National Alliance for the Mentally Ill of Massachusetts, MetroWest affiliate. Attorney Gary Zalkin received his B.A. in psychology from Brandeis University in 1989 and his M.S.W. from Simmons College School of Social Work in 1992. Gary Zalkin is also “a member of the Harvard Medical School’s Program in Psychiatry and the Law.” (Source). 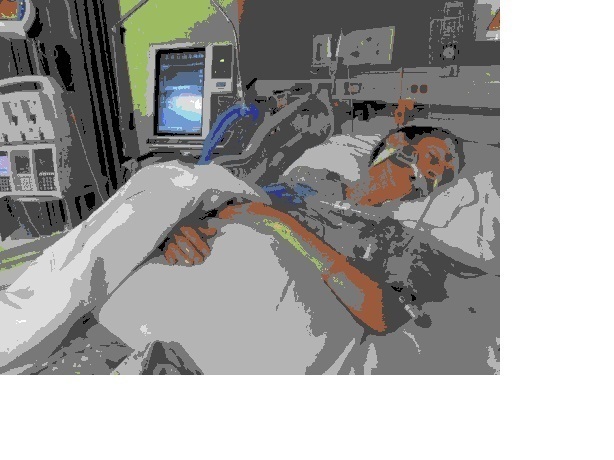 How is it that a person can lose every Constitutional and human right, including the rights to make personal and medical decisions, refuse medical treatment, live in her own home, be autonomous, and choose to live – based on a letter from a doctor not backed up with evidence? Framington Union Hospital. Photo taken by an advocate, name withheld by request. What really happened to Beverley Finnegan – both in the nursing home before her hospitalization and in the hospital during the snowstorm, during the time that her sister could not watch over her and try to protect her? Is there a cover-up happening of medical malpractice? What kind of benefit is there to those parties networked together? Why are there so many entities and individuals working to take away the basic human rights of senior citizens? How can citizens protect themselves from the tyrannical overreach of people operating under the color of law to take all their worldly goods as well as their very liberty? Is anyone safe? Beverley Finnegan’s voice has been silenced. Will her death go unnoticed, or will it mean something? Who will speak out for justice for her and for countless others whose lives are being stolen? U-M Taubman Health Sciences Library exhibit presents a chilling look at Nazi ideology. 12th century: Rabbi and physician Maimonides' Prayer: "May I never see in the patient anything but a fellow creature in pain." 1865: French physiologist Claude Bernard publishes "Introduction to the Study of Human Experimentation," advising: "Never perform an experiment which might be harmful to the patient even though highly advantageous to science or the health of others." 1896: Dr. Arthur Wentworth performed spinal taps on 29 children at Children's Hospital, Boston, to determine if the procedure was harmful. Dr. John Roberts of Philadelphia, noting the non-therapeutic indication, labeled Wentworth's procedures "human vivisection." 1927: Carrie Buck of Charlottesville is legally sterilized against her will at the Virginia Colony Home for the Mentally Infirm. Carrie Buck was the mentally normal daughter of a mentally retarded mother, but under the Virginia law, she was declared potentially capable of having a "less than normal child." By the 1930s, seventeen states in the U.S. have laws permitting forced sterilization. The settlement of Poe v. Lynchburg Training School and Hospital (same institution, different name) in 1981 brought to an end the Virginia law. It is estimated that as many as 10,000 perfectly normal women were forcibly sterilized for "legal" reasons including alcoholism, prostitution, and criminal behavior in general. Germany adopts "Regulation on New Therapy and Experimentation" requiring all human experiments to be preceded by animal experiments. This law remained in effect during the Nazi regime. 1931: Dr. Cornelius Rhoads, a pathologist, conducted a cancer experiment in Puerto Rico under the auspices of the Rockefeller Institute for Medical Investigations. Dr. Rhoads has been accused of purposely infecting his Puerto Rican subjects with cancer cells. Thirteen of the subjects died. A Puerto Rican physician uncovered the experiment an investigation covered-up the facts. Despite Rhoads' hand written statements that the Puerto Rican population should be eradicated, Rhoads went on to establish U.S. Army Biological Warfare facilities in Maryland, Utah, and Panama, and was later named to the U.S. Atomic Energy Commission. Rhoads was also responsible for the radiation experiments on prisoners, hospital patients, and soldiers. The American Association for Cancer Research honored him by naming its exemplary scientist award the Cornelius Rhoads Award. 1936: Japan's Wartime Human Biowarfare Experimentation Program. 1939: Twenty-two children living at the Iowa Soldiers' Orphans' Home in Davenport were the subjects of the "monster" experiment that used psychological pressure to induce children who spoke normally to stutter. It was designed by one of the nation's most prominent speech pathologists, Dr. Wendell Johnson, to test his theory on the cause of stuttering. 1940: Poisonous gas experiments at Unit 731 (Japan). One experiment conducted September 7-10, 1940, on 16 Chinese prisoners who were exposed to mustard gas in a simulated battle situation. 1940-1941: Unit 731 (Japan) used aircraft to spread cotton and rice husks contaminated with the black plague at Changde and Ningbo, in central China. About 100 people died from the black plague in Ningbo as a result. 1940's: In a crash program to develop new drugs to fight Malaria during World War II, doctors in the Chicago area infected nearly 400 prisoners with the disease. Although the Chicago inmates were given general information that they were helping with the war effort, they were not informed about the nature of the experiment. 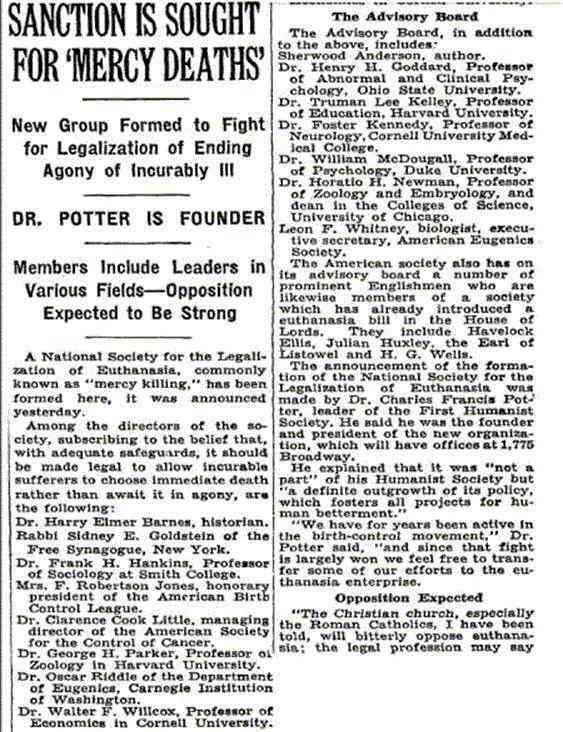 Nazi doctors on trial at Nuremberg cited the Chicago studies as precedents to defend their own research aimed at aiding the German war effort. 1941: Dr. William c. Black inoculated a twelve month old baby with herpes. He was criticized by Francis Payton Rous, editor of the Journal of Experimental Medicine, who called it "an abuse of power, an infringement of the rights of an individual, and not excusable because the illness which followed had implications for science." Dr. Rous rejected outright the fact that the child had been "offered as a volunteer." These prisoners were called 'maruta' (literally 'logs') by the Japanese. After succumbing to induced diseases - including bubonic plague, cholera, anthrax - the prisoners were usually dissected while still alive, their bodies then cremated within the compound. Tens of thousands died. The atrocities were committed by some of Japan's most distinguished doctors recruited by Dr. Ishii. 1943 Refrigeration experiment conducted on sixteen mentally disabled patients who were placed in refrigerated cabinets at 30 degree Farenheit, for 120 hours, at University of Cincinnati Hospital., "to study the effect of frigid temperature on mental disorders." 1944: Manhattan Project injection of 4.7 micrograms of plutonium into soldiers at Oak Ridge, TN. 1946: Patients in VA hospitals are used as guinea pigs for medical experiments. In order to allay suspicions, the order is given to change the word "experiments" to "investigations" or "observations" whenever reporting a medical study performed in one of the nation's veteran's hospitals. 1947: Judgment at Nuremberg Doctors Trial sets forth "Permissible Medical Experiments" i.e., the Nuremberg Code, which begins: "The voluntary consent of the human subject is absolutely essential." 1949: Soviet Union's war crimes trial of Dr. Ishii's associates (Japan). 1940s-1950s: "psychic driving" and "mental departterning" experiments conducted by Dr. Ewen Cameron, depriving patients of sleep, using massive ECT combined with psychoactive drugs such as, LSD. After his "treatments" patients were unable to function. In the 1950's Dr.Cameron's experiments were sponsored by the CIA. 1953-1957: Oak Ridge (TN)-sponsored injection of uranium into eleven patients at Massachusetts General Hospital in Boston. 1975: The Department of Health, Education and Welfare (DHEW) raised NIH's 1966 Policies for the Protection of Human subjects to regulatory status. Title 45 of the Code of Federal Regulations, known as "The Common Rule," requires the appointment and utilization of institutional review boards (IRBs). 1987:" L-dopa challenge and relapse" experiment conducted on 28 U.S. veterans who were subjected to psychotic relapse for study purposes at the Bronx VA.
1995: NYS Supreme Court rules (TD v NYS Office of Mental Health) against the state's policy of conducting nontherapeutic experiments on mentally incapacitated persons - including children - without informed consent. Justice Edward Greenfield ruled that parents have no authority to volunteer their children: "Parents may be free to make martyrs of themselves, but it does not follow that they may make martyrs of their children." 1996. Cleveland Plain Dealer investigative report series, 'Drug Trials: Do People Know the Truth About Experiments,' December 15 to 18, 1996. The Plain-Dealer found: of the "4,154 FDA inspections of researchers testing new drugs on people [since 1977] . . . more than half the researchers were cited by FDA inspectors for failing to clearly disclose the experimental nature of their work." 1997. Researchers at the University of Cincinnati publish findings of experiment attempting to create a "psychosis model" on human beings at the Cincinnati VA. Sixteen patients, experiencing a first episode schizophrenia, were subjected to repeated provocation with amphetamine. The stated purpose was to produce "behavioral sensitization. This process serves as a model for the development of psychosis, but has been little studied in humans. Symptoms, such as severity of psychosis and eye-blink rates, were measured hourly for 5 hours." 1998: Boston Globe (four part) series, "Doing Harm: Research on the Mentally Ill" shed light on the mistreatment and exploitation of schizophrenia patients who have been subjected to relapse producing procedures in unethical experiments. 2000: President Clinton implements the Energy Employees Occupational Illness Compensation Act of 2000, which authorized compensation for thousands of Department of Energy workers who sacrificed their health in building the nation's nuclear defenses. 2000: The Washington Post (6 part) series, "Body Hunters" exposes unethical exploitation in experiments conducted by U.S. investigators in underdeveloped countries. 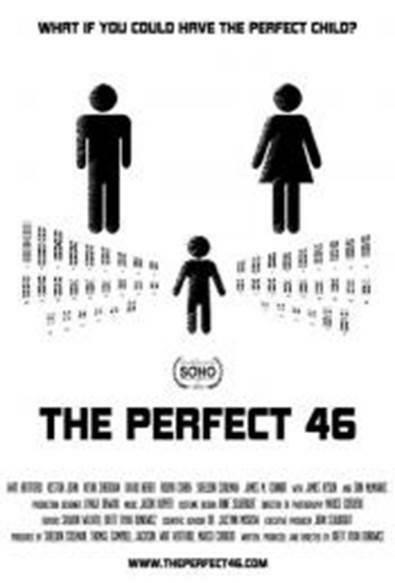 Part 4 dealt with U.S. government funded, genetic experiments conducted by Harvard University in rural China. The perfect storm in support of the Culture of Death has arrived. Consumerism, self-indulgence, the worship of government, stardom and economic crisis is poised to transform the Shining City on the Hill into a death camp. The nation founded on the principle that all human life has value ordained by God is adopting a utilitarian view of life that casts aside the voiceless, defenseless, broken, disabled, diseased, unborn and elderly. The Land of Plenty is fast becoming a land where government shall ration its plenty only to those who it perceives add value, creating a duty to die for those who government perceives lessen value. We are losing our way. The Culture of Death - (a) A health care bill introduced by House Democrats forces the elderly to attend consults regarding the withholding of food and water for the chronically ill; and (b) President Obama and the Democrat congressional leadership is attempting to force all Americans to pay for abortions and all hospitals to provide abortions. Abortion has always claimed "choice" and "liberty" as its driving value. The same with Euthanasia and physician assisted suicide. Yet, at its core, both are about a belief that there is not enough compassion, not enough love, not enough money, not enough life to share. We do not want to face those who by their condition awaken our conscience to our duty to provide for such needs. We'd rather they die. The most common reason for an abortion is fear of the impact a child will have on the future of the mother, father or parents of the mother. The top reason for assisted suicide is fear of becoming a burden on another. Abortion is not about the "life" of the mother, nor is assisted suicide about eliminating physical pain as both concerns can be addressed without loss of life.. Rather, euthanasia and abortion are about America's increasing fear that bears the fruit of stinginess through lack of faith. We are becoming a self-indulgent culture demanding immediate answers to life's intractable problems and thanks to an obsessive media focus, casting our hopes and eyes constantly towards government for answers. This is why government is constantly growing, regardless of which political party holds the keys - both parties have learned that promoting false solutions through government action appeals to America's demands for answers. Government plies our fears, creating false hope and doing so by our political wannabes warrants TV time with the talking heads resulting in Stardom. In government, you do not generate power by depowering government. Government already dictates much in the medical industry. Medicare and Medicaid are now the largest player in the health care market providing 46 cents of every health care dollar spent in America. Private insurance provides 42 cents of every dollar and the remaining 12 cents comes from consumers through out-of-pocket expenditures. Markets are intelligent - they know where their money comes from! As a result, as government has increased its play in the market - those who earn in the health care market have turned their eyes on government. Increasingly, physicians, medical manufacturers and hospitals have moved away from protecting free market principles and moved towards demanding more from government. Professional associations representing these groups have demanded increased government payouts for various procedures and services. Increasingly, they have become employees of government - not directly responsive to patient needs or demands. And put simply, they want a pay raise. Politicians recognize the political truism that you gain a more loyal following by passing out dollar bills than allowing people to keep their own money: dependency is a great source of power. Honoring this truism grows government - creating ever more powerful constituencies that protect every government dollar spent. The loss of these constituencies commitment to free market principles has been devasting and increasingly resulted in physician decisions being dictated by government formularies - government reimbursement pay formulas for certain medical services and equipment. These pay formulas are the new values driving decisions in medical care. And now, the primary articulator of these values - government - is ready to pomote a claim of value in death. A child that is unwanted and uneeded - is simply a burden. Abort it! The elderly - more of a drain than a benefit - encourage physician assisted suicide. The President's new health care bill will mandate your participation in abortion. And a new "reform" bill introduced in the US House by Representatives John Dingell (D-Michigan) and Charlie Rangel (D-New York) creates government mandated death consultants who will encourage the elderly and disabled to choose death. In 1985, withholding fluid and nutrition from a patient unable to feed himself or herself was considered criminal. Afterall, we are unable to feed ourselves at numerous stages of life and if we were not in the process of dying, someone wihtholding fluids and food was denying what was considered humane care. Such care is not medical treatment it is an act of compassion. Yet, with high profile court cases in numerous states and the trend towards death and a rationing of care - in 1986, the American Medical Association for the first time defined the provision of food and water as "medical treatment." The impact is monumental. Medical treatment can be withheld, humane care cannot. Death by dehydration is brutal and lengthy. It is accomplished with dozens of people standing by who, with simple effort, can sustain a life they watch wither, suffer and die. And now in the Dingell/Rangel bill, the government will get into the act. Under Subtitle C - "Miscellaneous Improvements" beginning on page 420 of the 1,018 page bill, the government would mandate under Section 1233 what it terms "Advance Care Planning Consultation." The consultation requires reviewing with all medicare patients the options of withholding care, including providing information on "the use of artificially administered nutrients and hydration." There is not a need to educate patients about the need of hydration and nutrients. All of us have lived with that need all of our lives. We obtain it - or we die. This provision is there to encourage a pre-determination of death by neglect in order to, as the bill's title suggests, "provide affordable health care." The proposed law takes the next step and requires these death consultations when a patient and family are most vulnerable. The consultations are to take place "if there is a significant change in the health condition of the individual, including the diagnosis of a chronic, progressive, life-limiting disease." This sets up the dynamic for withholding food and water due to non-life threatening conditions. Further, it invites a patient, if conversant, to make a decision about their future during an ultimate time of stress. This language invites an approach similar to Oregon's assisted suicide legislation, which was sold as a "compassionate" way out for those terminally ill and in constant pain. This was and is a lie. Studies indicate that none of the 43 who were assisted in their suicides during the first two years of that legislation were facing such problems. The overwhelming concern was being a burden on family and requiring assistance in daily living. Just as abortion plays on the fears of frightened mothers, euthanasia plays on the fears of frightened seniors and the disabled. Further, the bill establishes a special government study called the "physician's quality reporting initiative" which will create special government funded "patient decision aids" and government consultation groups to assist paitents in understanding these issues. These committees will represent different disciplines but with one commonality - all will be paid by government. And government is interested in saving "costs." The only thing that breaks this cycle is principled leadership or Americans demanding principled action. Americans, however, are increasingly being taught that liberty is a frightening concept - it requires initiative and exists in a state of uncertainty. Today, there is the ever-present temptation to trade liberty for a false sense of security. This has happened with health care. Health care is now government business and as with all those who pay the bill, government is attempting to cut costs and this means rationing - choosing one over the other. This is one of the main threads of the hidden debate on health care. Proponents of government making such choices are struggling to find the right Orwellian terms to confuse or mislead the American public. At least Princeton University Professor Peter Singer, although confused, was blunt and direct in the July 19th edition of the NY Times Sunday Magazine. Professor Singer argues that such rationing is logical. Singer is right - it is. The crux, however, is who makes the choice of rationing and whose values are reflected in that decision. Singer and President Obama support government making these decisions. Singer writes "(r)ationing health care means getting value for the billions we are spending by setting limits on which treatments should be paid for...." And Singer invites us to answer the following problem as an example: "saving the life of one teenager is equivalent to saving the lives of___ 85 year-olds. "[ix] Or how about, preserving the quality of life of one adult is worth the lives of how many unborn? Or, saving the life of___ university professors is worth the life of___ unemployed steel workers? (Prof. Singer probably does not want to put that one up for a vote). You can see the problem. Families make difficult choices of rationing every day - saving for college, purchasing a new and safer car, enhancing savings, moving to a new home, determining health care costs. Increasingly, government is making these decisions for us through the coercive impact of law or through tax code encouragement. This loss of liberty has profound implications. The government solution scheme incrementally replaces opportunity with government promises, diminishes personal accountability creating government inefficiencies and more ominously, invites government dictates in the cause of controlling costs. And now President Obama is attempting to have government dictate abortion in the name of "choice." Soon, you government may be dictating the duty to die to the disabled, sick and elderly in the cause of universal health care. Accordingly, the President and Democrat congressional leadership are trying to force through mandated health insurance coverage for abortion and the mandatory provision of abortion services for all Americans as well. All Americans will be forced into health insurance plans that include abortion coverage - forcing all Americans to pay for abortions through their premiums. It is in these battles that we will define ourselves as a nation and a people.